Sharing a few picture from last Friday’s wedding at The Ghillie Dhu in Edinburgh. This was my second visit to The Ghillie Dhu and it was great to be back. I love the look and feel of the venue. 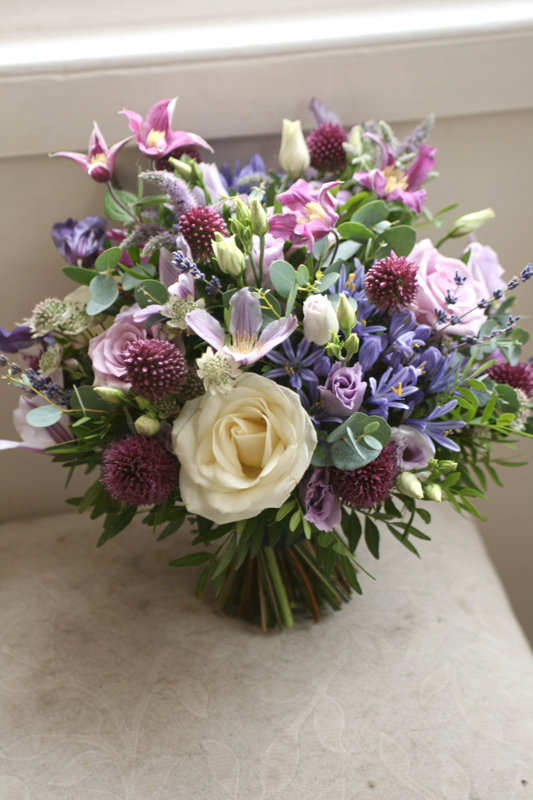 Leigh went for ivory and shades of lilac and purple for their big day flowers with lots of texture. 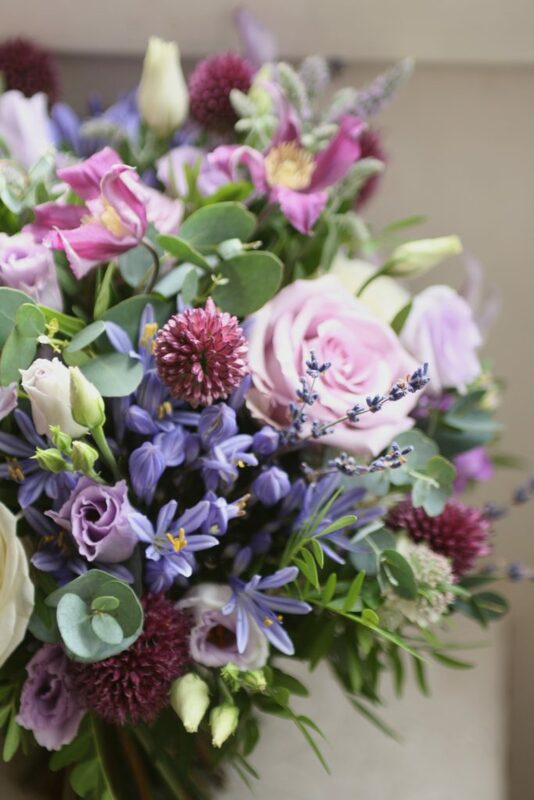 Allium from our cutting garden flowered just in time for the wedding and added a nice touch to the bouquet’s and venue flowers. I provided bouquet’s and buttonholes as well as a foliage garland for the ceremony and top table and jars of flowers for the venue. The groom’s tartan was used to wrap the bouquet’s and buttonholes to tie the whole look together. 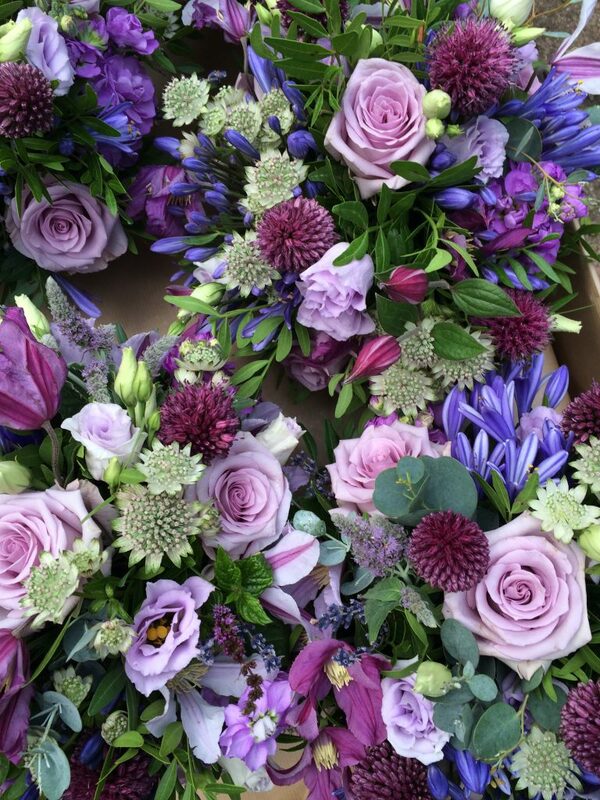 Sadly I didn’t manage to get any photos of the garland or jars but below are a few images of the bouquet’s.